Genichi Taguchi (1 January 1924 – 2 June 2012) was a statistician and engineer who is best known for his quality control methods that improve quality and reduce costs. He created the Taguchi methods which are statistical methods to improve the quality of manufactured goods. These include loss functions, both off-line and online quality control, and design of experiments. Genichi Taguchi was born in Takamachi in Japan. The city is known for its clothing industry, and for this reason, it was foreseeable that Genichi Taguchi would enter this industry. However, he later was more interested in studying statistics instead of textile engineering. His interest in statistics resulted in statistical analysis skills that were honored by the teachers at the university. Despite his excellent performance in school, Genichi Taguchi could not work after his study because the Second World War occurred. He was for this reason called to serve the navy of Japan. After the war, in 1948, Genichi Taguchi start to work both at the Ministry of Public Health and Welfare, and at the Institute of Statistical Mathematics of the Ministry of Education. During this period, Genichi Taguchi was able to develop his statistical analysis skills further. He additionally executed industrial experiments on the production of penicillin, a group of antibiotics, for which he later received recognition. Two years later, Genichi Taguchi worked at Electrical Communication Laboratory. It also enabled him to improve his experimentations and data analysis skills. 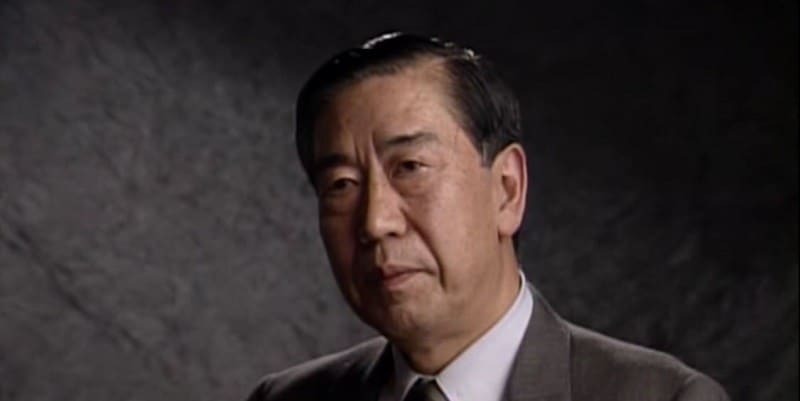 Genichi Taguchi received various awards for improving quality such as the Deming Prize in 1960, one of the highest award in quality engineering. The prize has was given to him for his contribution to the field of quality engineering. Genichi Taguchi’s work was already highly valued during his professional career, but he continued his study at Kyushu University. He next obtained his Ph.D. in Statistics and Mathematics Science at this university in 1962. After receiving his doctorate, Genichi Taguchi quit his position at Electrical Communication Laboratory to start to work as a consultant. His new position made him join the research group of the Japanese Standards Association where he established the Quality Research Group. The group meets monthly to discuss industry applications. Genichi Taguchi also felt a strong passion for teaching. For this reason, he started working as a professor at Aoyama Gakuin University in Japan in 1965. This position enabled him to develop his quality control approaches even further. As a consequence, Genichi Taguchi developed the quality loss function in this period. His approach to quality control was internationally not known yet, but by this time, were mainly only known in Japan. However, he next revised AT&T Bell Laboratories, later known as Nokia Bell Labs, which as a consequence popularized his approach to quality globally. From the 1980s, the approach of Genichi Taguchi raised interests to other international companies, including Ford, Xerox, and ITT. He was invited to provide seminars to Ford executives and soon after he became the director of the Ford Supplier Institute, later known as the American Supplier Institute. Next to his position, he kept working as a consultant and consulted various companies in the United States, Japan, China, and India. Genichi Taguchi presence in Europe remained unknown until from 1986. In this period, he raised awareness about his methods of quality after he attended a conference in the United Kingdom which was organized by the Institute of Statisticians. Genichi Taguchi was honored many times and received various recognitions such as the Indigo Ribbon in 1986. It was an award given by the Emperor of Japan which he received for his contribution to the Japanese economics and industry. He additionally received the Willard F. Rockwell Medal by the International Technology Institute for his achievements with combining engineering and statistical methods. He distinguishes his method with those of others by putting the emphasis on the design phase in the manufacturing process rather than achieving quality through inspection. While some industries continue to work under traditional methods, many other have widely adapted to the Genichi Taguchi’s methodology. His view on quality has influenced today’s quality approaches. Publications and Books by Genichi Taguchi et al. 2006. Introduction to Quality Engineering. Asian Productivity Organization, Tokyo, 1990. Google Scholar. 2005. Taguchi’s quality engineering handbook. John Wiley & Sons Inc.
2002. The Mahalanobis-Taguchi strategy: A pattern technology system. John Wiley & Sons. 2001. The Mahalanobis-Taguchi System. pp. 1-7. New York: McGraw-Hill. 2000, 1999. Robust engineering: learn how to boost quality while reducing costs & time to market. McGraw-Hill Professional Pub. 2000. New trends in multivariate diagnosis. Sankhyā: The Indian Journal of Statistics, Series B, 233-248. 1999. Mathematics for Quality Engineering. First version, 145-152. 1995. Quality engineering Taguchi methods for the development of electronic circuit technology. IEEE Transactions on Reliability, 442, 225-229. 1994. Taguchi on robust technology development: bringing quality engineering upstream. 1994. Quality engineering series. Japanese Standards Association. 1993. Taguchi on robust technology. 1993. Taguchi methods: design of experiments. Vol. 4. Amer Supplier Inst. 1993. Robust technology development. Mechanical Engineering-CIME, 1153, 60-63. 1992. Taguchi methods, research and development. Vol. 1. Amer Supplier Inst. 1991. Taguchi methods: Signal-to-noise ratio for quality evaluation. Vol. 3. Amer Supplier Inst. 1991. System of experimental design: engineering methods to optimize quality and minimize costs. Kraus. 1990. Robust quality. Harvard Business Review, 681, 65-75. 1990. Experimental design for product design. Statistical Design and Analysis of Industrial Experiments, 1-33. 1989. Taguchi methods: case studies from the US and Europe. Vol. 6. Amer Supplier Inst. 1989. Quality engineering through design optimization. In Quality Control, Robust Design, and the Taguchi Methodpp. 77-96. Springer, Boston, MA. 1989. Quality engineering in production systems. Vol. 173. New York: McGraw-Hill. 1988. The development of quality engineering. The ASI Journal, 11, 5-29. 1987. The evaluation of quality. In 40th Annual Quality Congress Transactions. American Society for Quality Control. 1987. Taguchi techniques for quality engineering. Quality Resources, New York. 1987. Taguchi Methods: Orthogonal Arrays and Linear Graphs. Tools for Quality Engineeringpp. 35-38. Dearborn, MI: American Supplier Institute. 1987. System of experimental design. Edited by Don Clausing, New York: UNIPUB/ Krass International Publications, 1. 1986. Quality engineering products and process design optimization. American Supplier Institute. 1986. Introduction to quality engineering: designing quality into products and processes. No. 658.562 T3. 1985. Quality engineering in Japan. Communications in Statistics-Theory and Methods, 1411, 2785-2801. 1981. On-line quality control during production. Japan Standards Association. 1981. An Introductory Text for Design Engineers: Design and Design of Experiments. Japanese Standards Association. 1976. Experimental designs. Maruzen, Tokyo in Japanese. 1966. Statistical analysis. Tokyo: Maruzen.